New York, NY (September 15, 2014) – The Africa Center, Africa’s Embassy to the World announced that on Saturday, September 20th, The Africa Center will open its doors to the public for the first time, with an all-day “Meet The Africa Center” festival from 10:00am until 6:00pm. A private concert performance will follow from 8:00pm until midnight. 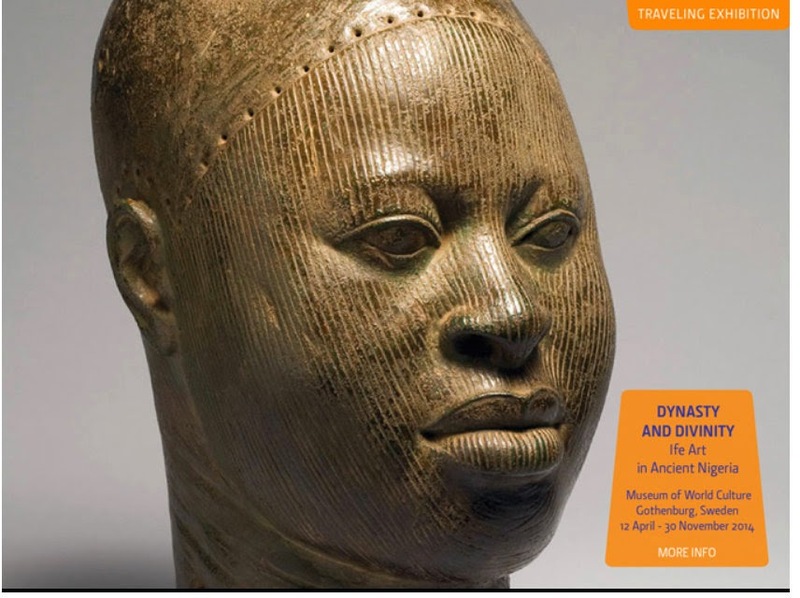 Once known as The Museum for African Art, The Africa Center has expanded its mission to become the world’s leading civic African institution. The Center is located less than 20 minutes from the United Nations, at One Museum Mile, and plans to permanently open in late 2016. 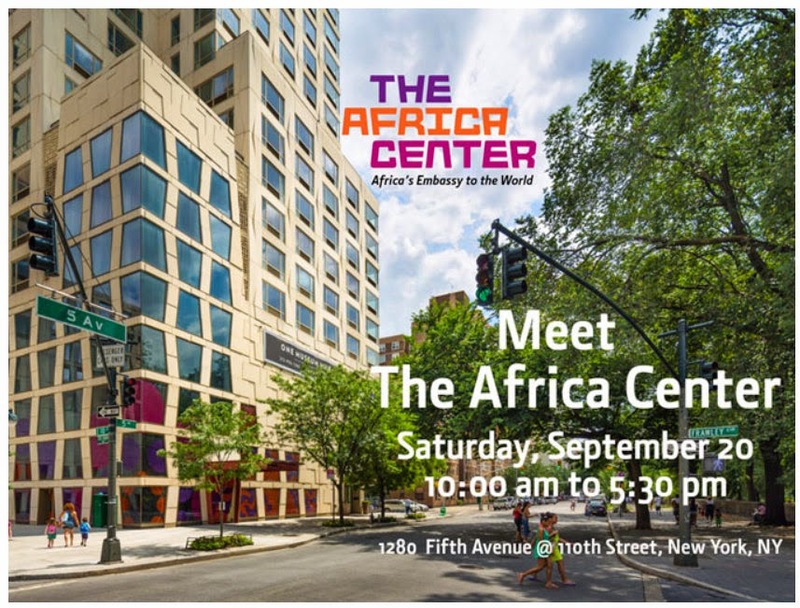 All are invited to the one-day extravaganza on September 20th, which will introduce the New York community to its new neighbor at The Africa Center’s stunning home at 1280 Fifth Avenue. The “Meet The Africa Center” festival will be a celebration of African culture, featuring an art installation by Nigerian artist Emeka Ogboh; performances by the Dance Theater of Harlem; musical presentations by OkayAfrica; a West African Photo Booth; healthy living presentations and African-Influenced tastings by Alexander Smalls and The Cecil; and screenings of ONE’s inspirational film, The Power of Protest Music. The evening concert at The Africa Center, is a special edition of the Festival-in-Exile, a solidarity event hosted in conjunction with the The Timbuktu Renaissance initiative. The evening will feature many of the finest Malian musicians and special guest stars, in a unifying performance, including Amanar, Amkoullel, Rocky Dawuni, Salif Keïta; Samba Touré and Vieux Farka Touré; with remarks by H.E. N’Diaye Ramatoulaye Diallo, Minister of Culture of Mali. All the way from the ancient cross-roads of Timbuktu, the concert is a musical exploration highlighting the profound connections between West African and American Blues. As Vice Chair of the Clinton Foundation, Chelsea’s work emphasizes improving global and domestic health, creating service opportunities, and empowering the next generation of leaders. Chelsea also serves on the boards of the Clinton Health Access Initiative, the School of American Ballet, Common Sense Media, and the Weill Cornell Medical College. She is the Co-Chair of the Advisory Board of the Of Many Institute at New York University. Chelsea will succeed Ian Bruce Eichner, Founder and Chairman of The Continuum Company, as Co-Chair of The Africa Center. Previously Chair of the Board of Trustees, duringMr. Eichner’s tenure The Museum for African Art was transformed and expanded to become The Africa Center. Together with Co-Chair Hadeel Ibrahim, Executive Director of the Mo Ibrahim Foundation, Mr. Eichner and Ms. Ibrahim envisioned a new world class cultural institution that embraces the entire African continent, including and beyond African Art. Mr. Eichner’s new role is Vice Chair of The Africa Center’s Board of Trustees. The Africa Center’s Board of Trustees leadership team also includes Mr. Ashish J. Thakkar, Board Treasurer and Mr. Hosh Ibrahim, Board Secretary.